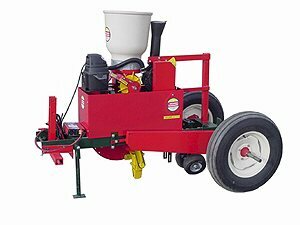 Optional #909 Plug mix attachment, available for accurate amount of ideal growing material to be metered with each seed. Low cost compared to other plastic mulch seeders. For more information about this product, please use our online contact form, call Eastern Farm Machinery at (519) 763-2400, or contact one of our dealers. Engineered by Emerge2 Digital Inc.